Windsor - Spooky Halloween Fun! 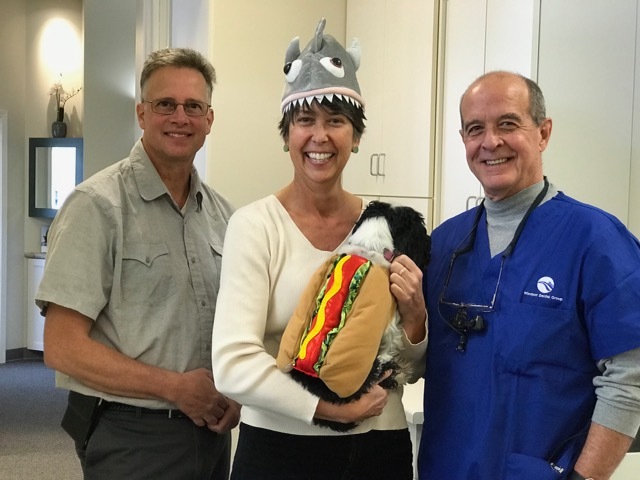 Pictured with Dr. Seely are Darren, Marlies and our WDG mascot, Lucy. Darren is in charge of our WDG information technology to ensure our patient records are safe, secure and compliant with the Health Insurance Portability and Accountability Act (HIPAA), which is federally mandated Health and Human Services legislation. 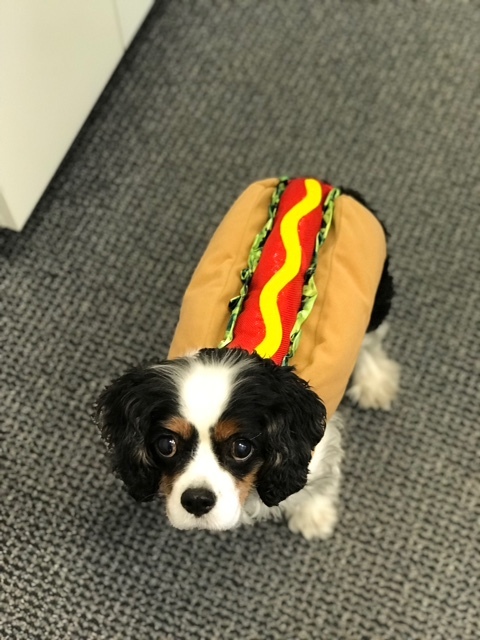 Lucy actually liked wearing her HotDog costume this year.